Timeshare at Vista Amadores has to be the perfect destination for luxury accommodation, with is excellent amenities and breath-taking views. 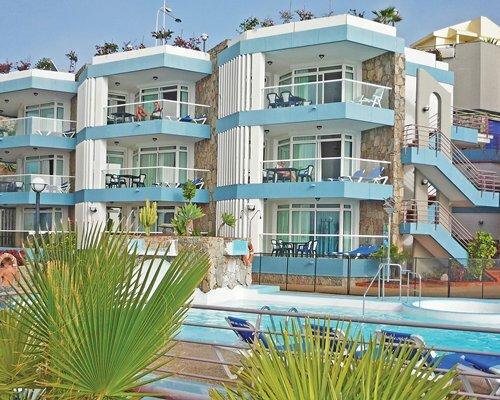 The Resort is set in the hillside and offers the most beautiful sights on the island of Gran Canaria. Picture the white sandy beaches and sun setting over the ocean; the view alone is something you will remember for many years. This RCI Gold Crown Resort boasts apartments with luxurious air-conditioning and large spacious bathrooms equipped with Jacuzzi bathtubs and large showers. All units have fully fitted kitchens equipped with all the amenities needed to make your stay as pleasing as possible. Holiday Club Vista Amadores apartments have beautiful terraces facing the Ocean so you can sit on your balcony on an evening watching the sun go down in complete harmony. The club is only a stone’s throw from busy Puerto Rico, the shopping and restaurant hot spot for all your shopping needs. The white sand Amadores beach has parasols and loungers for your relaxation and comfort. Not to far away is the beautiful village of Puerto de Mogan where you can charter a fishing expedition or experience a trip on a submarine. Amadores Beach Club has 36 luxury apartments all fitted with air conditioning for your maximum comfort, and are distinguished by their fine furniture and comfortable decor. The bathroom is very spacious and equipped with Jacuzzi and shower. The TV in the living area receives all the popular international channels. The lounge area is furnished to a very high standard and the kitchen is equipped with all amenities you would have at home. 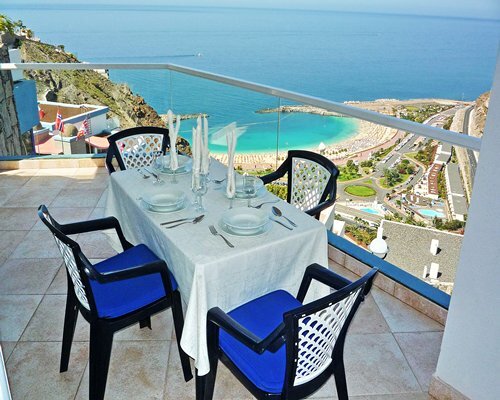 Your private balcony overlooks the picturesque Amadores bay and the blue ocean.